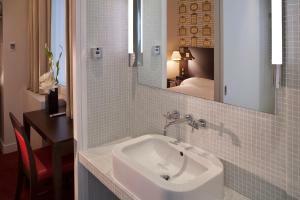 Hôtel Perreyve is just outside the Luxembourg Gardens and a 10-minute walk from Montparnasse Train Station. It is set in a 1901 building and offers free Wi-Fi. The rooms at Perreyve are bright and decorated in neutral tones. 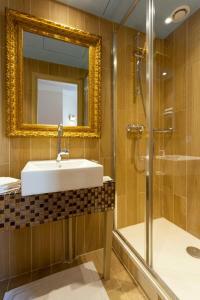 Each is air-conditioned and offers an LCD TV with international, satellite channels. A continental breakfast of fresh pastries and hot coffee is served every morning in the dining room. Afterwards, guests can relax on the sofas in the 24-hour reception. 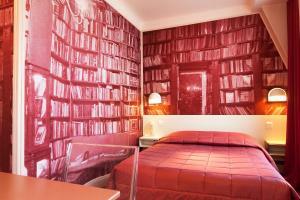 In the heart of the Latin Quarter, the hotel is ideally located for exploring the left bank’s cafés and book shops. 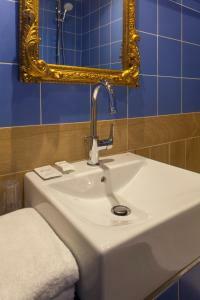 It is just a 5-minute walk from Rennes Metro Station which leads to the Montmartre district. For the double and twin room, please specify your bedding preference in the special requests box when reserving. Guests are required to show a photo identification and credit card upon check-in. Please note that all Special Requests are subject to availability and additional charges may apply. 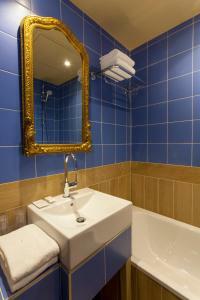 This air-conditioned room includes a flat-screen TV with satellite channels and a telephone. Rate: € 80.50 ... € 476.50; select dates below to get current rates. 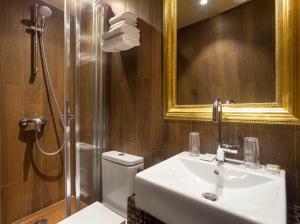 This air-conditioned room includes a flat-screen TV with satellite channels and a telephone. Please specify your bedding preference in the special requests box when reserving. 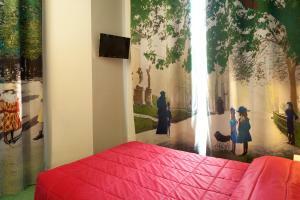 This twin room has air conditioning and a TV with satellite channels. These family room is composed of 2 adjacent rooms with air conditioning, free WiFi and satellite TV. Please note that the rooms are not connected between them.